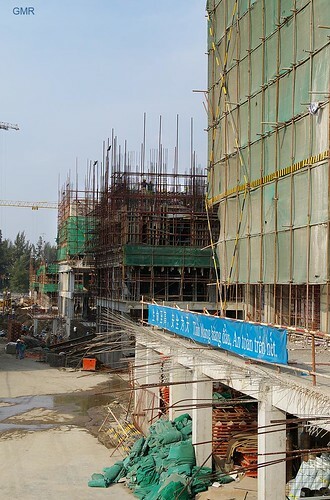 Construction at the Manor 2 project on Nguyễn Hữu Cảnh street in Bình Thạnh district has picked up pace after having a slow 2008. 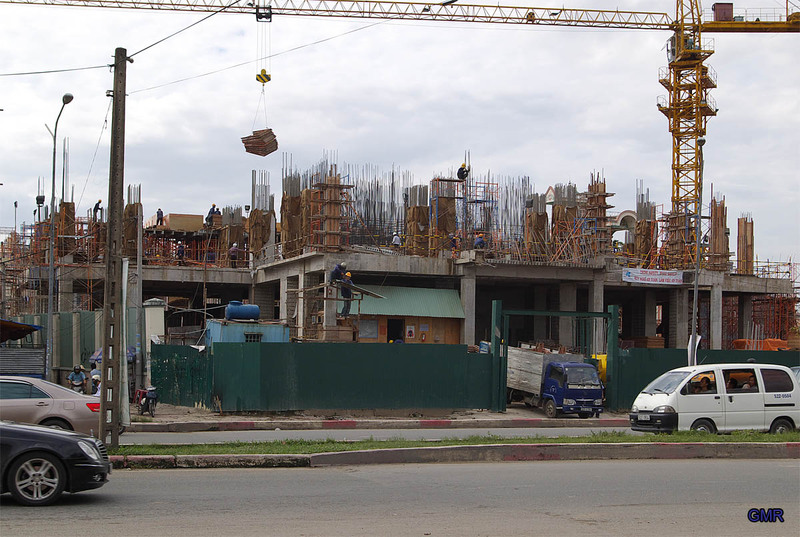 I don’t normally paste articles from other sites but this piece from the Saigon Times is very interesting as it could see the construction of an 88 storey building in Saigon. HCMC – Keppel Land, one of the largest foreign property developers active in Vietnam, has got the green light for the second phase of the Saigon Centre project in downtown HCMC. 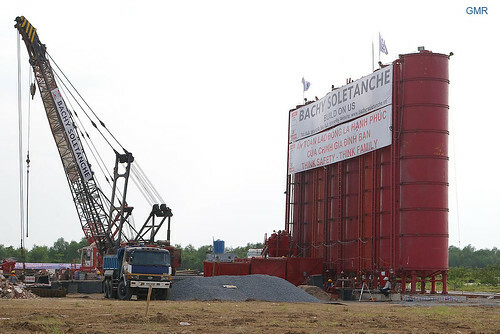 In a statement issued by the Government Office on Tuesday, Prime Minister Nguyen Tan Dung asked the developer to comply with the investment license and the city’s zoning plan. He also asked the joint venture company, Keppel Land Watco I, to undergo restructuring before continuing the development of the project. Vietnamese partners Sowatco and Resco will transfer their stakes in the joint venture to their Singaporean partner Keppel Land so that the foreign partner will develop the second phase of Saigon Centre in the 100% foreign ownership format. Keppel Corporation in Singapore said in February that it had presented a concept plan for its whole Saigon Centre project. 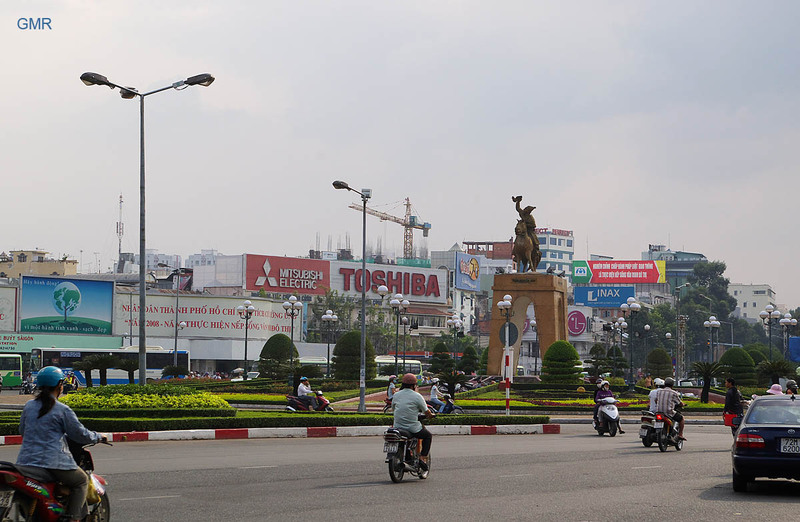 Located in a prime location in District 1, the Saigon Centre is a mixed-use development on a two-hectare site on Le Loi Boulevard, one of the city’s main streets. The first phase of the Saigon Centre, which was completed in 1996, is a 25-story building comprising a three-story retail podium, 11 levels of office space, 89 units of serviced apartments and three levels of basement car park. Skidmore, Owings and Merrill, one of the world’s largest architecture firms, has been named as the architect for the new concept plan of the project. According to the concept plan, the new phase of the Saigon Centre will develop two towers – an 88-story skyscraper comprising shopping mall, grade A offices and a five-star hotel, and a 66-story tower including a commercial center. The Saigon Centre is now home to the diplomatic corps, multinational firms, banking and financial institutions. 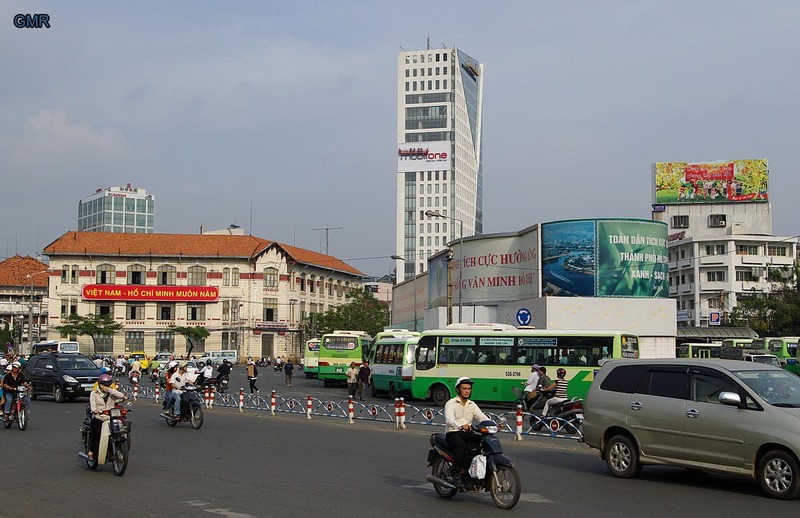 The building maintains its position as the market leader in terms of occupancy and rental rates in HCMC. The office and retail components are full. 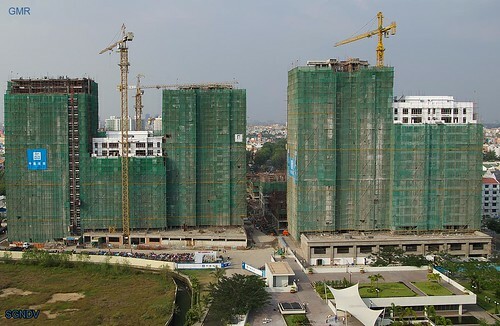 In March, Elaenia – a joint venture 75% owned by Keppel Land, received an investment license to develop 2,400 condos in HCMC’s newly urbanized town of Saigon South. The company will carry out the project covering 8.5 hectares by the Ca Cam River in District 7. 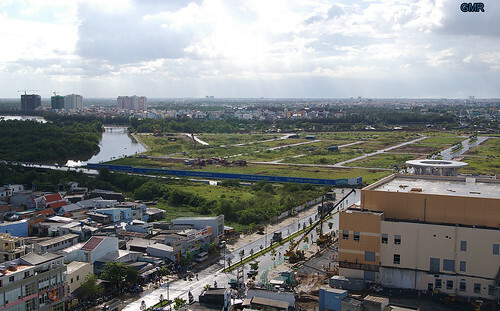 In HCMC, Keppel Land is also developing Saigon Sports City, a 64-hectare township development comprising residential, commercial, and retail components, the fully-sold Villa Riviera, an exclusive 101-unit waterfront villa development in Binh Thanh District, and the Ca Tre River in District 2. As promised I went back to the Sunrise city project in district 7 to photograph progress on the second tower. Groundwork specialist Bachy Soletanche have already set up their silos so work on the foundations are now well under way. 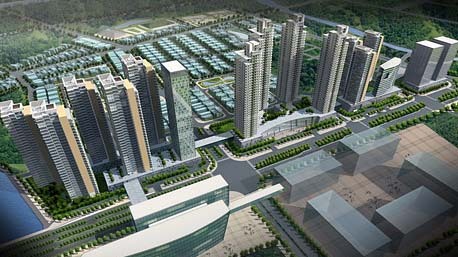 Sunrise city is a large Novaland project located opposite the recently completed Lotte supermarket in district 7. Information is scarce and varies from different sources so I will only show images for now to avoid quoting any incorrect information. Since these images were taken work on the foundations has started on a second tower which I will photograph in the next few days. Construction of the first tower. Showing the southern half of the complex area. Most visitors to Saigon will be familiar with this area of district 1, as you can see, it is changing. 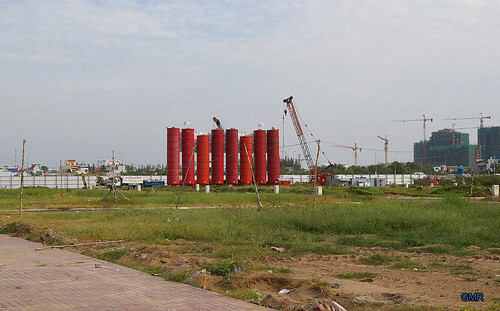 In the background you can now see the rising of the Bến Thành towers. Click image for a larger picture. 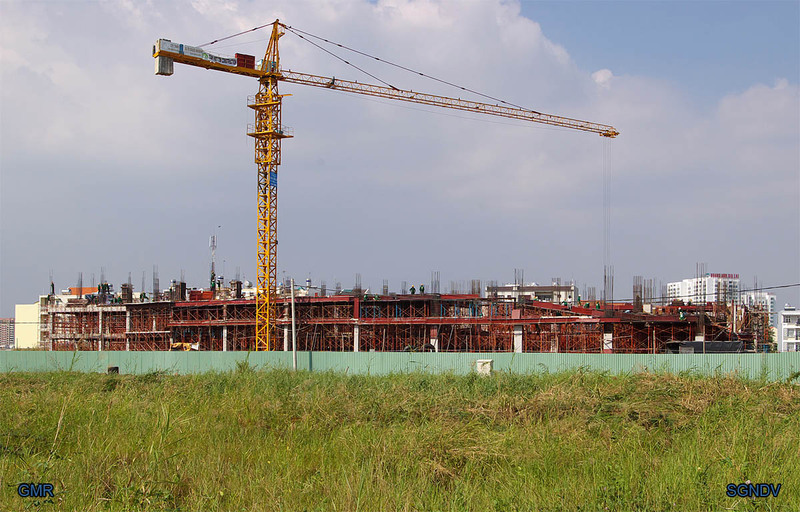 Thanks for visiting Saigon development and construction, this blog was started in Sept 2008 but I was not in Saigon during 2010. If any information on this site is wrong please contact me on the email address below. Sometimes things do get lost in translation. This is non profit-non commercial blog that was done in my spare time. Your comments are welcome on this site and you may be asked to enter your email address but it is not required to make comments so just leave that blank if want to. The Crescent, Phu My Hung. Phú Mỹ bridge fun run.